Hi again. Back with more cards using CTMH's City Sidewalk paper line. Yesterday I revealed 3 cards and today I'm here to show you the remaining 3. For the second card, I used the "Joy to You & Me" stamp. There is something about this little village scene that I simply adore! I tried to create a snow globe. The last card is one of my favs. 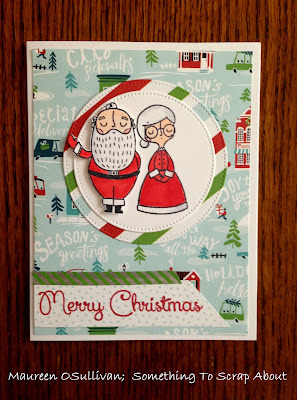 The stamp set, "Cozy Christmas", comes with a set of coordinating dies for only $26.95. 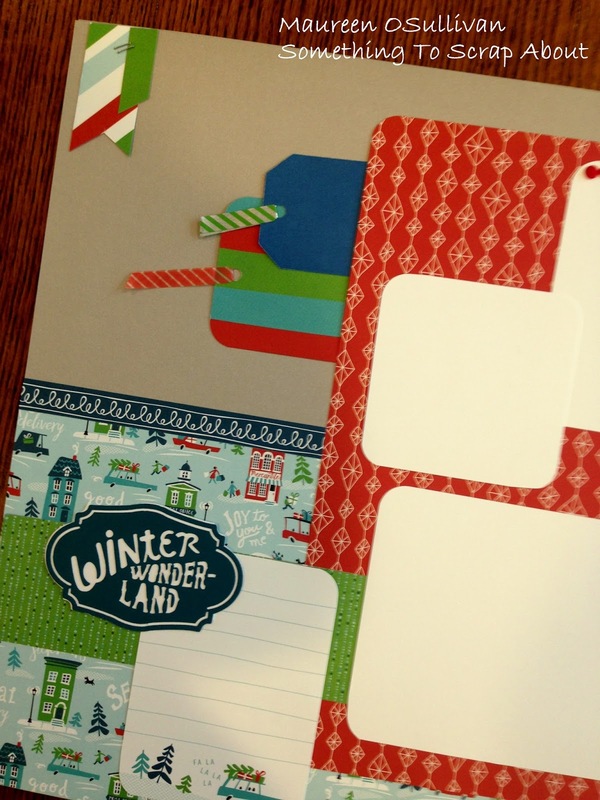 By ripping up some white/blue polka dot paper, I tried to create a snow look. 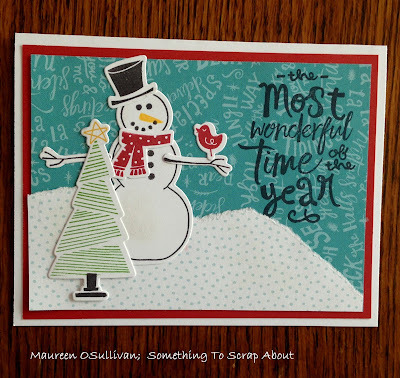 The stamp/die set also include a cute tree! Here are the 3 cards again. Above are all 6 cards together. Again, I'll be teaching this class on December 3rd in Norwell, MA. The cost is $18 for 6 cards. 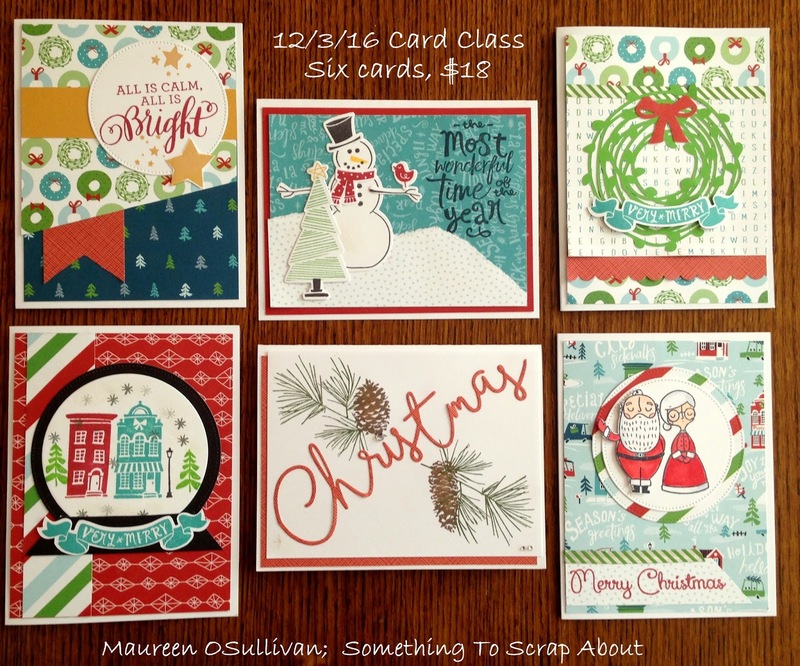 I'll be teaching a card class next Saturday. We'll be making 6 cards using the CTMH City Sidewalk line. 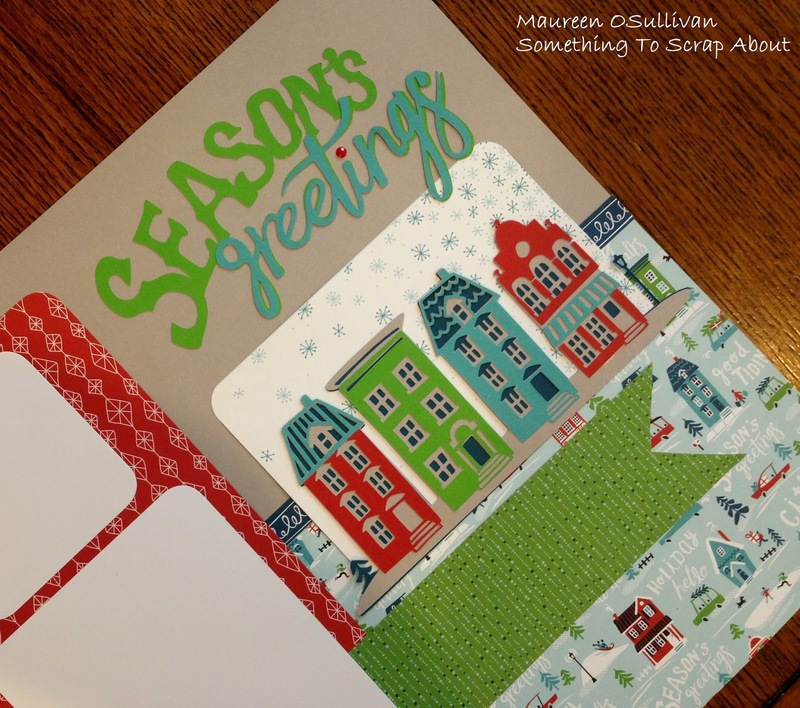 For the first card, I used "The North Pole" (D1699) stamp set. I enjoyed coloring in the adorable Mr. and Mrs. Claus! 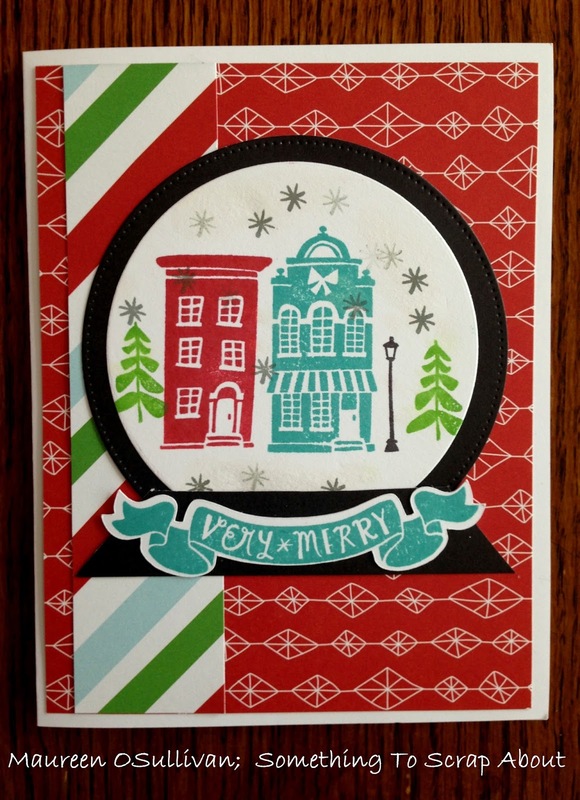 I used the CTMH City Sidewalks Cricut cartridge to cut out the wreath for the second card. 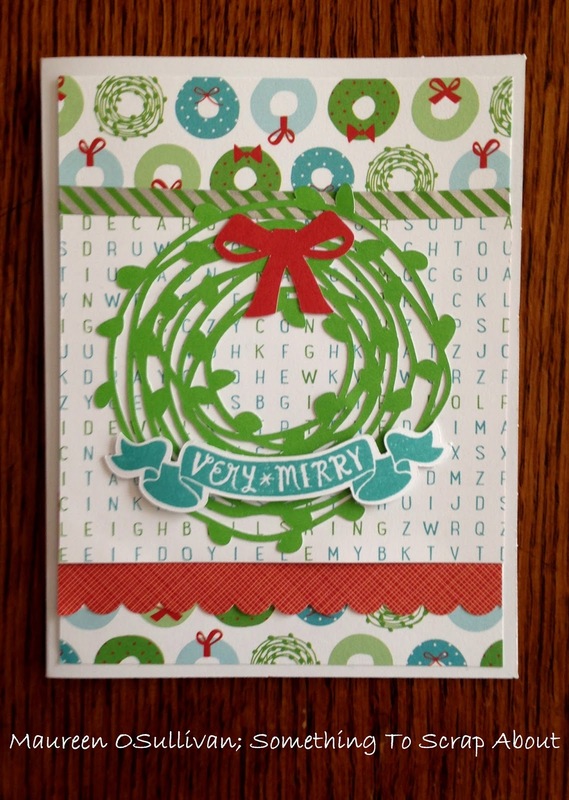 The red bow was cut out using CTMH's Flower Market Cricut cartridge. The sentiment was cut using the Artistry cartridge. The last card is simplistic, but it's one of my favorites. 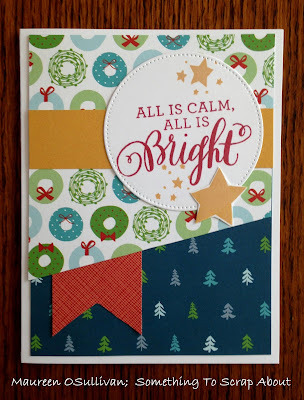 Using a CTMH die cut, I cut out the word "Christmas" in red patterned paper. 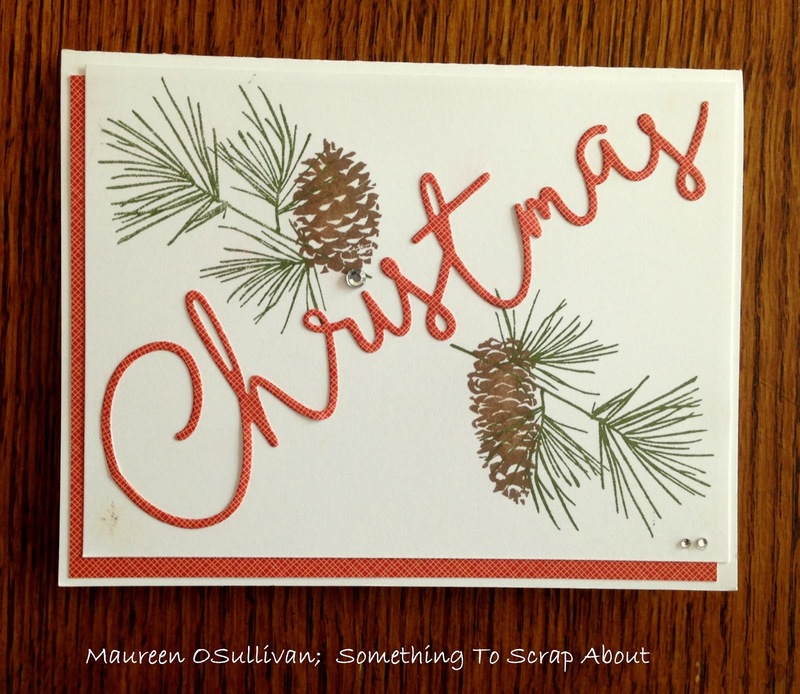 I then stamped some pine needles and cones using the "Perfectly Pine" stamp set. I'll share the other 3 cards tomorrow. Happy crafting! 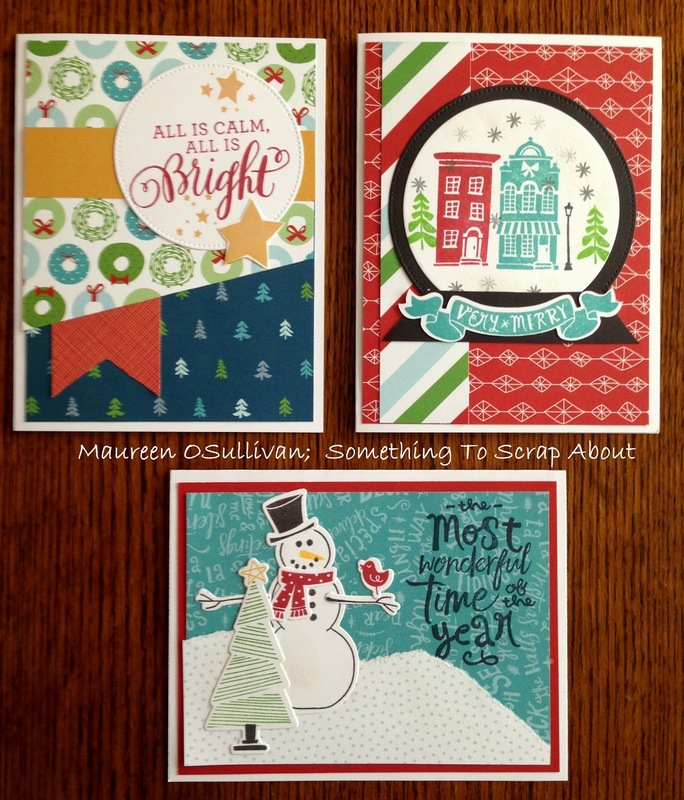 On December 10th, I'll be meeting up with my Boston Group to do some Christmas cards and a LO (layout). 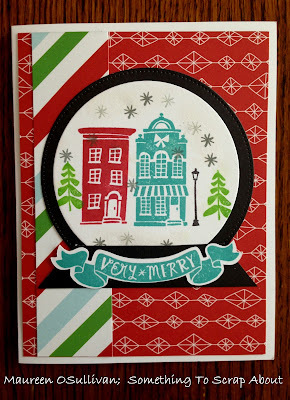 Below is the LO that I designed using both the City Sidewalks paper and Cricut cartridge. The Winter Wonderland, Season Greetings, and village were all cut out using the CTMH City Sidewalks Cricut cartridge. These are just 3 of the many cute shapes! Here's some close ups of the Cricut shapes. The village scene is the best! Hello, happy Thanksgiving Eve! 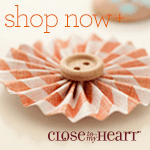 Just taking a break from cleaning the house and wanted to let you know about Close To My Heart's Black Friday sale!! 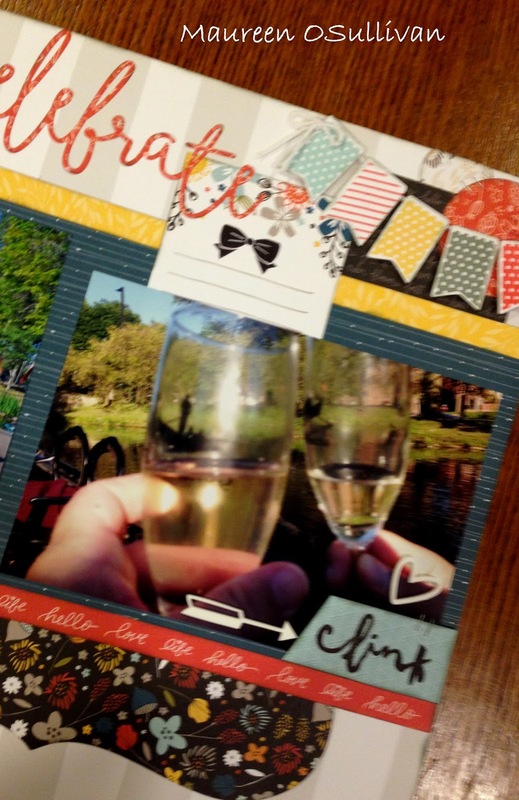 Love getting a great deal on crafting supplies to add to your stash? For Black Friday this year, you’ll have the opportunity to get amazing crafting supplies at an amazing price with Close To My Heart (CTMH)! For 24 hours only, we’ll feature themed mystery boxes filled with retired Close To My Heart products, all at a major discount! These mystery boxes will have five different price points ranging from $35 USD/$55 CAD to $150 USD/$160 CAD, with some mystery boxes being offered at 50% off the retail value! All mystery boxes will be available beginning November 25, 2016 at 12:00 am (MST) while supplies last—so grab a box for your stash before they’re gone! What is included in the mystery boxes? 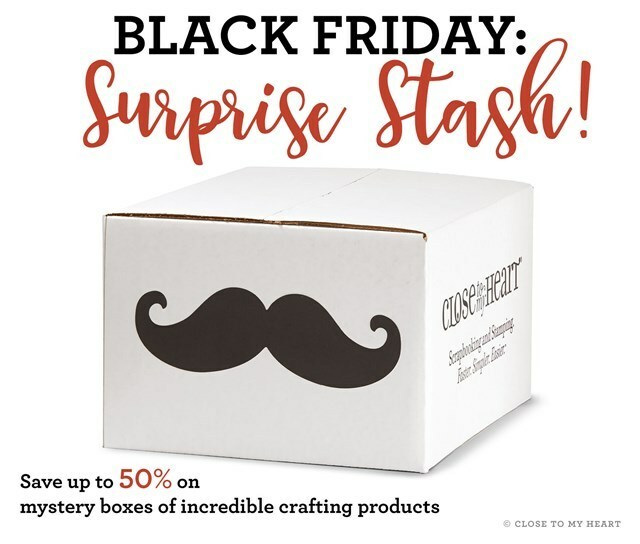 It’s a big surprise, but we will tell you that the mystery boxes will be filled with retired products grouped together purposefully for certain types of crafters. 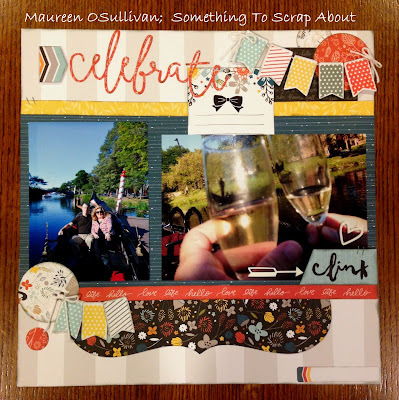 The scrapbooking bundles will contain products like retired My Legacy™ albums, papers, Complements, Instalife™ mini albums and cards, Picture My Life™ pocket scrapbooking cards, and assorted embellishments like mini-medley accents, washi tape, and stickers! 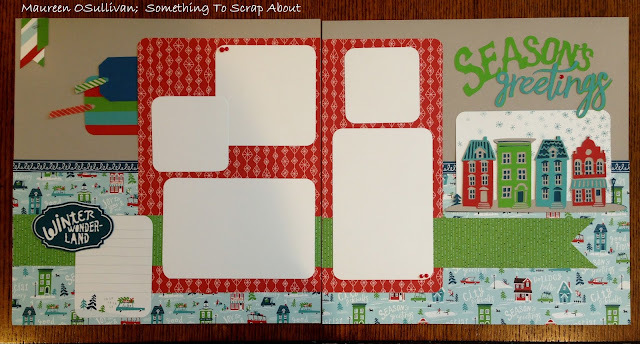 The cardmaking bundles will contain things like retired Cut Above™ card kits, envelopes in assorted sizes, papers, and assorted embellishments. Finally, we will also be offering scrapbooking & cardmaking bundles with a combination of products for those who love it all! Again, these bundles will be inside mystery boxes, so you won’t know which exact products you’ll be getting, but this gives you an idea of what we’ve cooked up. Will I receive duplicate products in the mystery boxes? What are the prices for the mystery boxes? How long will each mystery box be available? Each mystery box will be available for up to 24 hours, while supplies last. Visit my Online STORE early for the most options! Thanks for reading and get your stash on Friday!!! 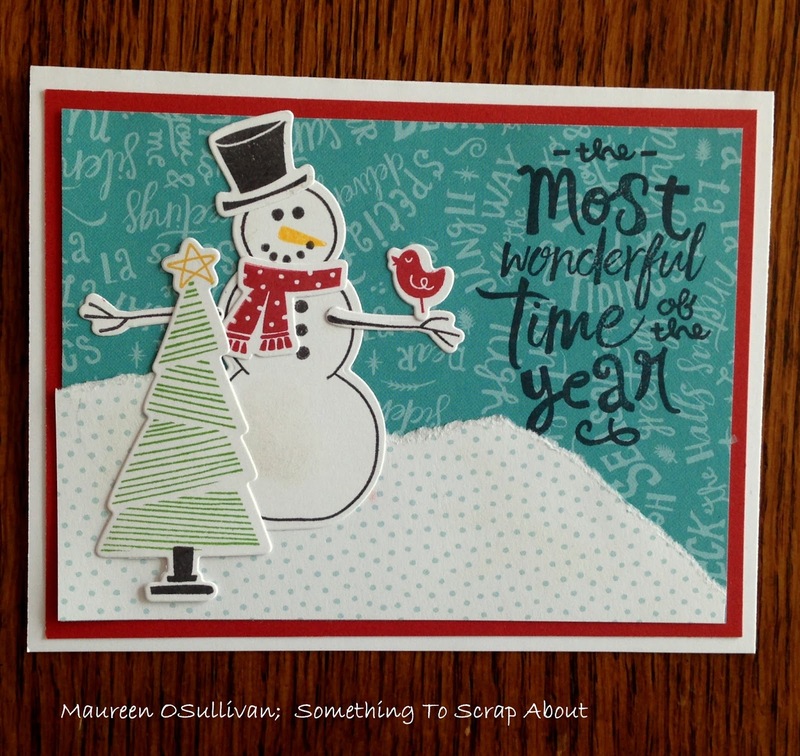 Hello, welcome to the November SOTM blog hop! 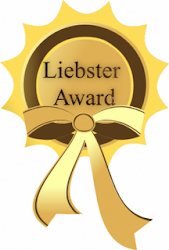 If you came here from Jacquelin's Blog, then you are on the right track. Should you get lost along the way, please click HERE. 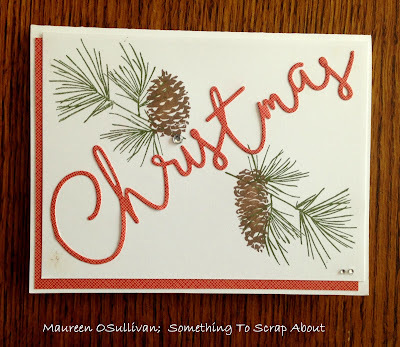 Here is a close-up of the stamping. Notice the little black bow-tie-- so cute! The sentiment 'Clink' is perfect here too. And, the pennant stamps allow me to match the inks to the paper I'm working with. With regards to the paper, I'm using 'Swan Lake' again. For the title, I used CTMH's die title-- Celebrate. Thanks for stopping by. 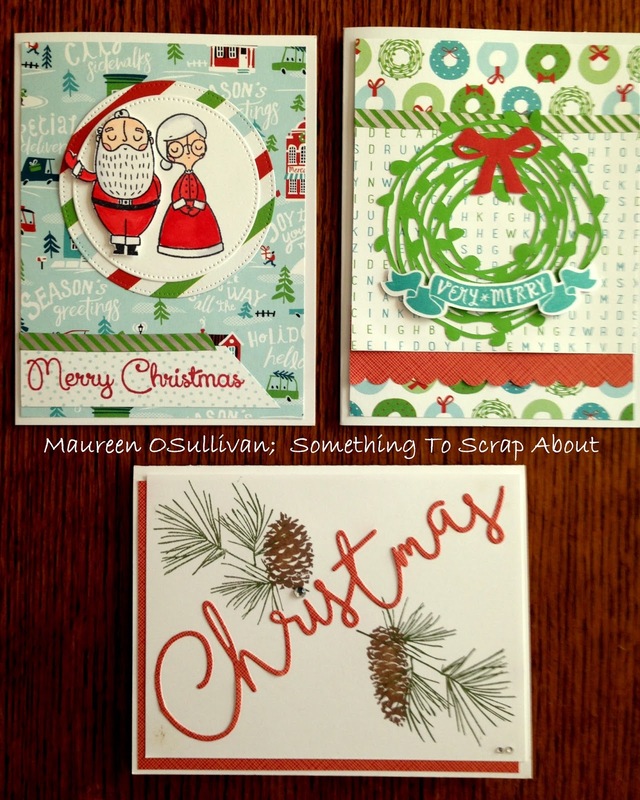 If you'd like to order this stamp set, then please visit my store. Be sure to visit all of the consultant's blogs. Next up is Michelle. 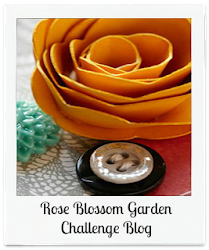 Here is the link to her wonderful BLOG. Enjoy and have a great month!